It was all good heading into the fourth quarter Thursday night for the Los Angeles Clippers. The team who had never been to the Conference Finals before only stood 12 minutes away from team history. All they had to do was hold to the lead they had worked so hard to build up. But unfortunately, the Clippers became the usual Clippers again. They were outscored 40-15 in the fourth quarter and ultimately lost the game. The scene went from pure joy in the third to frustration in at the end of the game. The faces of the team and the fans of the team were long from the frustration of losing a game they had in the palms of their hands. And along with the fall of the team in a series-clinching game, the Clippers now have to travel to Houston to take on a Rockets team that has a ton of confidence. The play of forward Josh Smith was outstanding in the fourth quarter and what was so amazing is they did this with their best player, guard James Harden, on the bench. As a result, the Clippers and Rockets will face each other one last time. 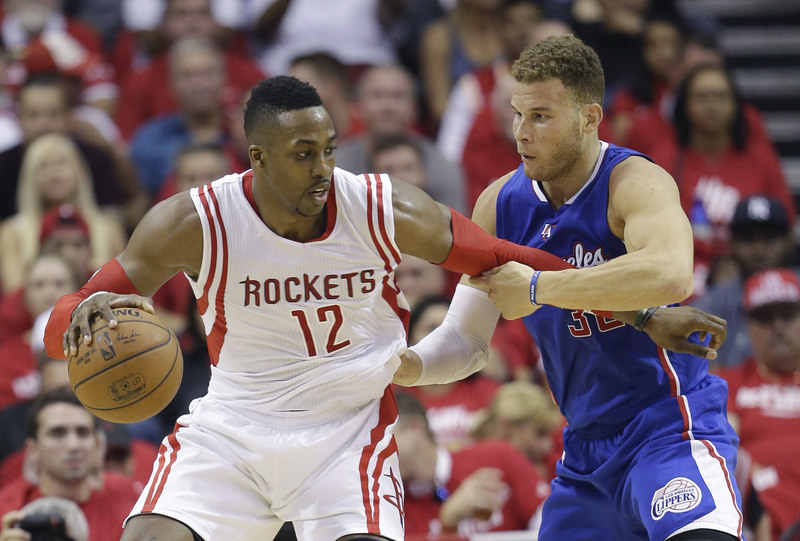 The Clippers will face yet another Game 7 but this time against the Houston Rockets. Of course the blame game has been played with this team ever since the loss. Some are blaming Doc Rivers for not calling a timeout to slow down the Rockets’ momentum while others are blaming the team’s stars, Blake Griffin and Chris Paul, for not restoring order when the lead was quickly disappearing. But at this point, it does not matter who is to blame. The Clippers have to get ready for Game 7 on the road and there is nothing they can do about the results of Game 6 anymore. But which Clippers team will show up in Houston? The Rockets, on the other hand, are getting it going at the right time. 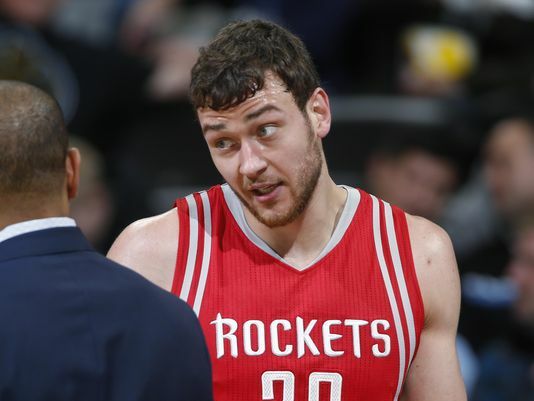 Ever since Rockets head coach Kevin McHale put Josh Smith in the starting lineup over Terrance Jones they have gone 2-0. Jones outperformed him coming off the bench in Game 5, but Smith was the catalyst in the Game 6 comeback, netting 14 of his 19 points in the fourth quarter. But the Rockets have not been the most consistent team this series at all. They were outplayed in Game 1 versus the Los Angeles Clippers and they would have lost Game 2 of this series if they wouldn’t have got it going late in the game. They were very fortunate to not be down by two games just that quick. Other than the last two games, it seems as if the Rockets have not been playing that well at all. Their MVP candidate, James Harden, has been putting up numbers (25 points and 8 assists per game), but has struggled from distance in the last two games (just 3/14). And along with that, he was in a funk in Game 6 and only shot 5/20 that game. But Harden has been nowhere near as inconsistent as Dwight Howard. The big man has been dominant in some games and non-existent in others. The foul shooting from him has been awful this series (38%), but that was to be expected. What some may have expected is for him to be better defensively this series. 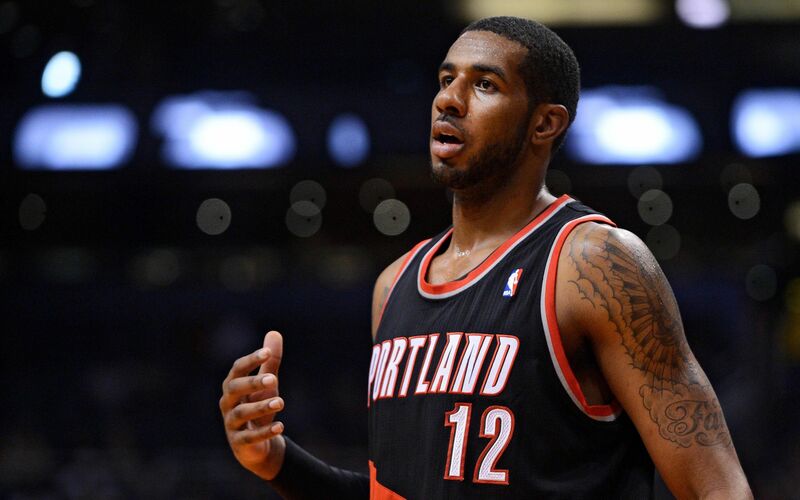 The Clippers are an excellent offensive team, but he was supposed to be the equalizer for them on the backline. Well, that has not happened as much and even though his numbers look good to the eye, those that have watched the game have been disappointed yet again in what they have seen. Dwight has been making the usual plays that make you scratch your head and he still cannot make two solid post moves in a row. But even with that, the Rockets don’t use him right anyway. They should put him in pick and roll situations that limit the post moves he has to make, but yet he camps out down low, looking to try and recreate himself at the wrong times. We shall see if Howard, Harden, Josh Smith and the rest of the Rockets show up in Game 7 or if they falter in front of their home crowd on the big stage. Both teams are trying to go to a new level while searching for consistency during the playoffs. And they both are looking to take that next step that many said was not possible when the year began. But in order for them to do so, there needs to be someone step up and be consistent for this huge game. For Chris Paul and Blake Griffin, this game would be the biggest game in their career. They would be a part of making Clippers history. And for James Harden and Dwight Howard, this would be a chance for both to get one step closer to a return trip to the NBA Finals. It will be interesting to see which team rises to the occasion. Will the Clippers pay for letting Game 6 get away from them or will the Rockets wilt under the pressure of a Game 7? Only time will tell, but it will definitely be fun to watch who can be the more consistent team of the two. The NBA is a game of competition and strategy. And when you get into the playoffs, it seems like all teams get even deeper into the strategic portions of the game. One of those strategies that everyone has seen for a while is the intentional foul rule. This rule, nicknamed the “Hack-A-Shaq” after notoriously bad free throw shooter Shaquille O’Neal, allows teams to foul a player intentional away from the ball to send them to the free throw line. The thinking is the opposing team can inch their way back into games by having a bad free throw shooter go to the line and miss while they come back and hit their shots. The strategy was actually implemented before Shaq against Dennis Rodman. Dallas coach Don Nelson used to have him intentionally fouled during the games and would send him to the line. But it grew to fame when the superstar center was in Los Angeles. Over the years, the Hack-A-Shaq has had some tweaks to it along with some different players involved as well. The new characters are now Los Angeles Clippers center DeAndre Jordan and Houston Rockets center Dwight Howard. Both are atrocious free throw shooters that could build a home with the amount of bricks they put up at the free throw line. They are now facing each other in a series and needless to say, going to the free throw line is an adventure for both of them. But for the fans, the thought of them intentionally being fouled is like nails to a chalkboard. So, the NBA is having some thoughts of banishing the rule forever or putting stiffer penalties on this intentional foul. But is this giving players the easy way out? Growing up playing basketball, the basic things you are taught is how to shoot, pass and dribble. In fact, over time those skills can get better if you put in the practice. But along with working on the basics, free throws are something that most should also work to be able to make with ease. After all, they are the only shot that no one is guarding you when you take them, unless you are playing against a non-existent defense. But it seems that some ignore the free throw line and as time goes on, those few become bad free throw shooters. 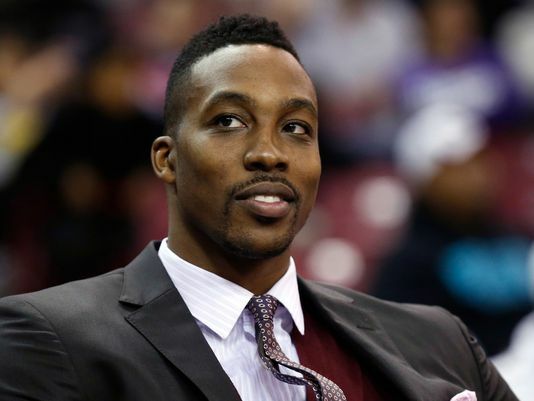 Dwight Howard and DeAndre Jordan could be those two guys that never practiced the free throw shot. And because of that, they are intentionally sent to the free throw line and banked on to miss by opposing teams. By taking this rule away, it is taking away the accountability of Howard, Jordan and others to do something that should be easier for them: hit free throws. These two should be ashamed of themselves not being able to shoot free throws. And because of that, now they are going to potentially change a rule due to players not being to hit free throws? It seems like this rule is something that will be letting them off the hook instead of actually inspiring them to shoot more free throws in the offseason. The rule would be something that would let bad free throw shooters off the hook, but it would also be something that could help the fans enjoy their experience as well. Over the years, sports fans have wanted games to be less lengthy and more compact. Baseball is looking at things to make the games speed up more and football is looking at a few things as well. But with basketball, they have not delved into that arena as of yet. But with the discussion of the intentional foul rule coming up, there is great possibility that most fans will get what they want. And in getting what they want, that means no more of the Hack-A-Whoever and more punishment if this tactic is used at any time. The result, presumably, would be a technical foul shot and possession of the ball. But to make it punish a team even more, you could add an additional free throw shot and have the coach pick any free throw shooter on his team to shoot them. That punishment could really cripple a team if done at the wrong time. But the main thing the NBA is about doing is creating the best product on the court to entertain the fans. And many fans are starting to tire of the games grinding to a halt with the intentional fouling. It may be a strategy that many implement to come back on teams, but it is also a strategy that takes away television views. And that is what it is all about for the NBA. One way or another, there is going to be something happen with the intentional foul rule. There are good things about it for the fans, but there are things that help the players that shoot free throws bad escape as well. Honestly, the players could control this one more than anything. But leave it to the NBA to seek action on this one instead of holding the players accountable here. The rule will make the game more enjoyable if it is changed, but then that means another thing will become the focus of fans not to like and that could be a slippery slope as well. Only time will tell what happens, but it looks like the intentional fouling away from the ball is about to go by the wayside. During the summer of 2013, Dwight Howard had a decision to make. Did he want to stay with the Los Angeles Lakers and pair with Kobe again or did he want to move on to play somewhere else? The relationship between Howard and Kobe in his one year with the Lakers was strained at best. Kobe was serious and about business. While Howard was jovial and never seemed to be serious about winning in Kobe’s eyes. In the meeting the Lakers had with Howard when he was making his decision where he would sign, Kobe went directly at Howard and told him that he could “teach him how to be a champion”. Howard listened to Bryant, but he was not at all interested in sticking around somewhere that he felt he could not be himself. Howard and Bryant were just not meant to be a pairing. Their personalities just went together like oil and water. And ultimately a separation was needed. 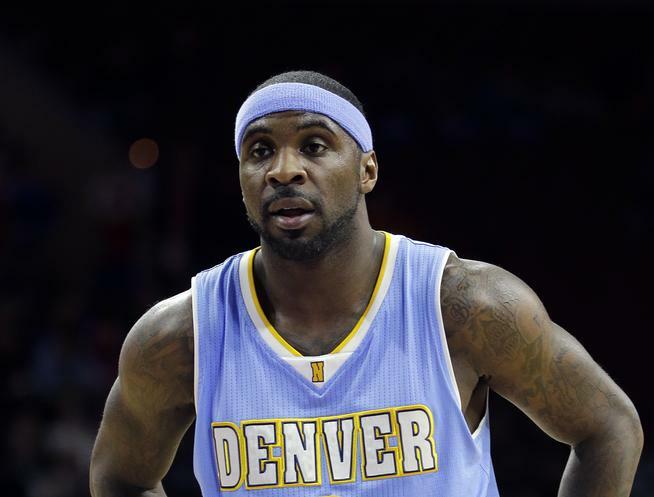 Howard signed, for less money and one less year, with the Houston Rockets franchise. He was viewed as the guy that could change their franchise and help them ascend to greater heights than they did before. Well, two years later, the story of Howard in Houston has not gone the way he thought it would. 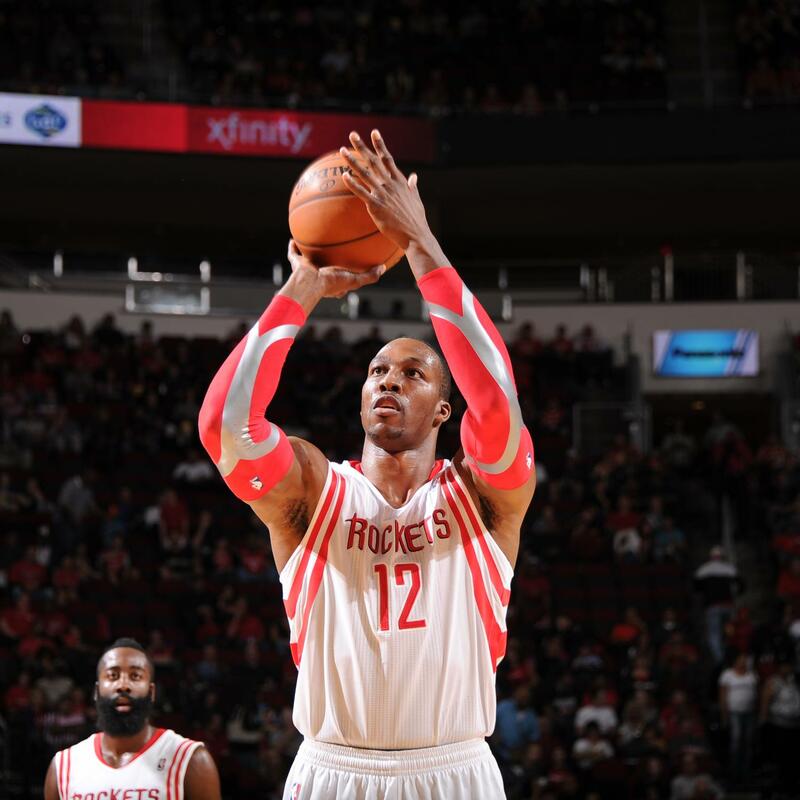 Howard had a good first season with the Rockets, averaging 18 points and 12 rebounds. The Rockets made it back to the playoffs on the strength of Howard and Harden, yet they ran out of gas in the 1st round of the NBA playoffs, losing to the Portland Trailblazers in six games. Howard had a great series versus the Trailblazers, putting up 26 points per game and grabbing 14 rebounds per game as well. But his efforts were not enough for them to continue forward. Going into this season, many thought that Howard would pick up where he left off versus Portland. But unfortunately he did not have the regular season he thought he would. Howard had progressed in the 2014 postseason. He was actually using post moves and looked like he knew what he was doing down there. But that did not last this season as he went back to the usual Dwight. Of course it did not help that he was injured most of this season, but when he was out there, he was the big man that could do everything else but put together two post moves back to back. Over the years, what made Howard so special over his career is his athleticism as a big man that allows him to block shots and be a bulldog rebounding the ball. That incredible athleticism allowed him to get by without having any real post moves for most of his career. But as time goes on in his career, the injuries are piling up and the athleticism is not what it once was. Now the soon-to-be 30 year old center is entering a phase of his career that may take him out of the spotlight even more. He had wanted to be a leader of his team. But the time has come for him to succumb to being the sidekick. 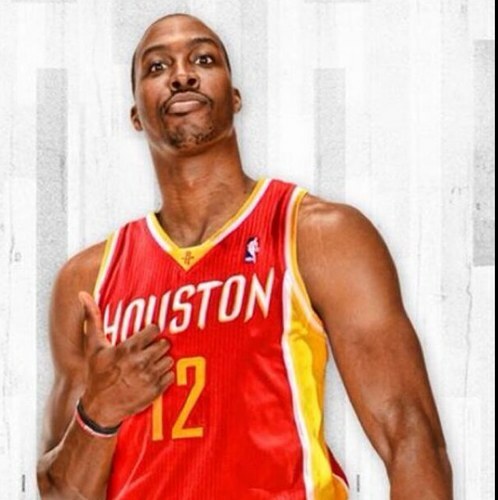 Dwight has realized that he is not the best player on the team in Houston. That title belongs to Rockets shooting guard James Harden. The veteran big man has said that he is willing to be the sidekick to Harden and that should be what he should do. After all, Harden has pretty much carried this team to the spot it’s in now without the services of Howard for much of the year. It was an easy decision for Howard to defer to the best player on the team. And if they are to make a run, Howard must realize that he is the sidekick and stay in his role. In fact, the best thing that could have happened to this Houston team was him getting injured. It allowed for more players like Terrence Jones to develop more and it also allowed Harden to have uninterrupted time as the leader of the team. Now with Howard there as the secondary guy, he can potentially go back to the things that made him good in Orlando, being the anchor on defense and rebounding. And if Howard can zone in on doing those things, the Houston could be a bigger threat than originally thought, especially if guys like Trevor Ariza, Jason Terry and Corey Brewer are hitting threes. The penetration of Harden along with the effect of Howard on the boards would be staggering to teams. But what happens after this season if the Rockets are not successful with Howard as the sidekick? 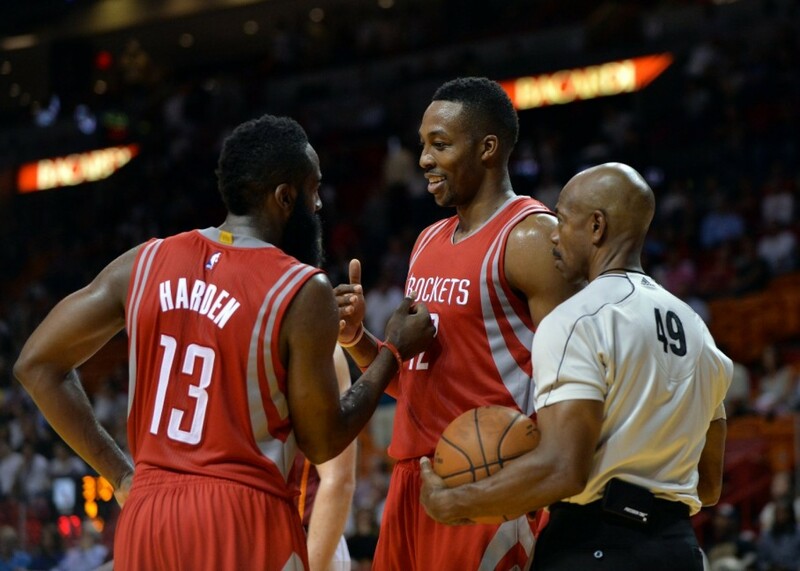 In the 2015-2016 season, there could be some issues between Harden and Howard. Assuming that Howard could be healthy, he could go back to the guy that would be requesting touches in the post. And as is documented by his play over the years, he cannot really be consistent with his post moves. Howard requesting touches in the paint without being able to do anything with it would do two things to the Rockets offense. First, it would take away the possessions that Harden has the basketball. Harden is by far the best playmaker the Rockets have and when he has the ball in his hands, good things tend to happen for Houston. So it would be imperative that Harden have the ball to help everyone else around him, including Howard, be more effective. Secondly, Howard requesting post touches will make the flow of the offense slow down. No one really fears him in the post when he has to make post moves. Teams fear him more when he gets offensive rebounds. Putting Howard in potential pick-n-roll situations more and then surrounding he and Harden with shooters is the most efficient way they can run offense. Dwight may be content with playing the sidekick role for this postseason, but we have all witness the times where he expresses disgust when things don’t go the way he wants them to go. And that can be a bad thing for any team. 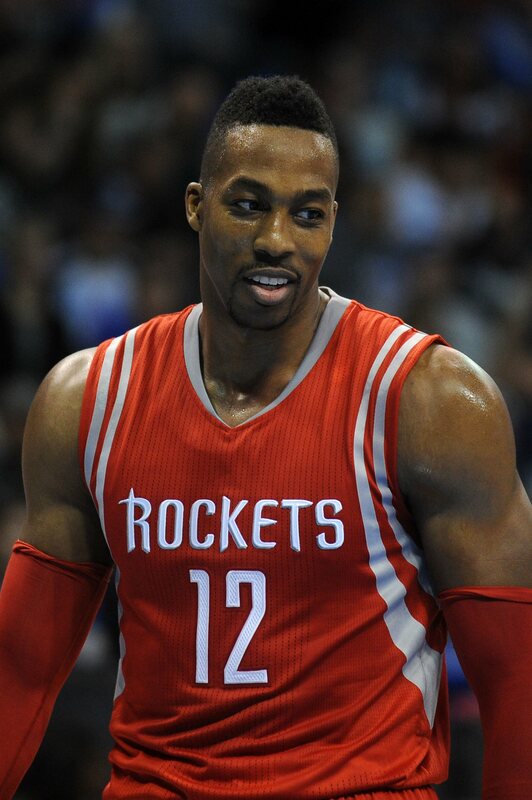 Dwight may have to come to grips that he is not the main attraction there in Houston. James Harden has taken over that title for the foreseeable future. 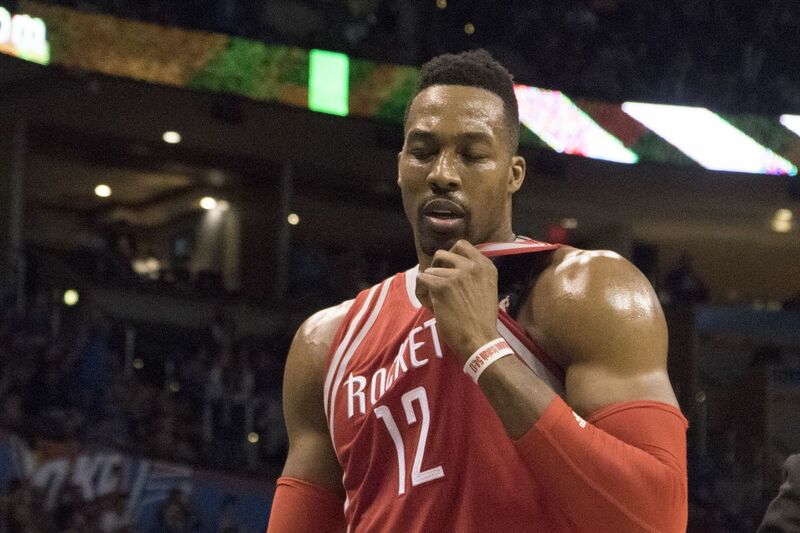 It’s up to Dwight Howard to understand that he cannot be the main focus at this point anymore. The best thing he can do is be Robin instead of trying to be Batman.